Leadership is all about wisdom. A mature leader knows how to take the examined experiences from their life and apply the wisdom they’ve learned in every situation. Are you looking to grow in wisdom, and become a greater leader for your workplace, family, or small group? Today’s guest has turned decades of leadership wisdom into a devotional that can radically change your life! 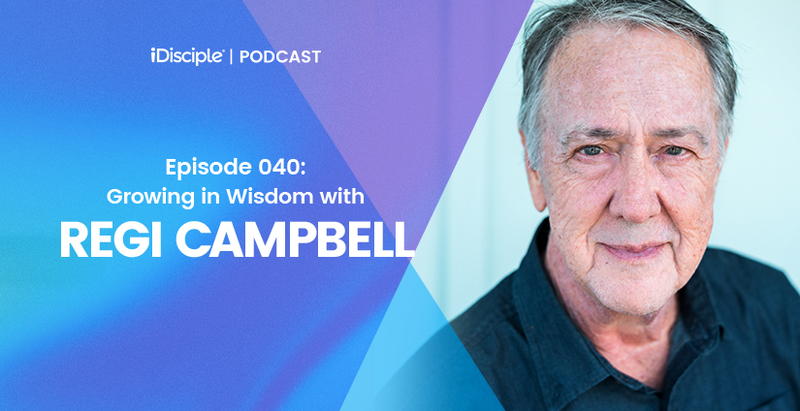 On this episode, David is joined by a great friend and partner of Giving Company, Radical Mentoring founder Regi Campbell. Regi is an entrepreneur by trade, having been involved in founding 15 companies. He has served as a CEO four times, in companies from startup to $100m in sales. He was also involved in the launch of North Point Community Church, serving on the long-range planning team and as an elder. He has also written several books and devotionals, including the brand-new Radical Wisdom devotional. Radical Wisdom is a daily journey toward wisdom and insight from someone who’s already been where you’re going. The daily readings in Radical Wisdom not only provide you with practical wisdom and principles but guide you as you examine your life experience and develop your own wisdom. Whether you’re leading a business, a family, or just leading yourself, you will become a better leader through Radical Wisdom, one day at a time. We pray that David and Regi’s discussion takes your further on your leadership journey! Regi shares his testimony of letting his career ambitions nearly ruin his family and his faith, and explains how surrendering to the Lord drastically changed his fate. How a Tim Elmore quote, “More time with fewer people equals greater kingdom impact,” inspired Regi to begin mentoring in smaller group settings. Why it’s important for a mentor to share their story and be an open book with their mentees. Regi breaks down the difference between experience and examined experience, and why it’s important for us to analyze our actions and make changes in our lives based on self-examination. Why Regi thinks the number one thing men struggle with is how to love and serve their wives. David and Regi break down some of the different devotionals and lessons from Radical Wisdom. Thank you so much for joining us! We hope and pray that this episode of the iDisciple Podcast has a profound impact on your walk with Christ. If you enjoy this episode, please head over to iTunes, Google Play, or Stitcher Radio and subscribe to the iDisciple Podcast! While you’re there, please leave us a rating and a review. We love to hear feedback from all of our subscribers! If you know somebody in your life who could benefit from hearing God’s truth in this latest conversation, please share this episode on your social networks. If you would like even more life-changing content about leadership, download the iDisciple app for your preferred mobile device today! Since 2013, iDisciple has been leading people into a closer relationship with God through music, sermons, and devotionals, all in the palm of your hand! Check out iDisciple.org to learn more. Thanks again for tuning in. God bless!